TRAUMA, SUICIDE AND BIO-HAZARD CLEANING, W.A. With over 16 years experience in the Trauma Cleaning business, LINKED CLEANING SERVICES has provided the West Australian people with a professional and discreet service in all situations. We take care of everything. Rubbish, trash, junk or anything else you no longer require, Linked Cleaning Services will remove, pack and cart away. No job too big or too small. Often an embarrassing situation for the owner or occupier. Linked Cleaning Services will work swiftly and discretely to remedy the situation and restore the property to a liveable home. Property end of lease cleaning, eviction, bond cleaning, deceased estates. In any case, Linked Cleaning Services is available to work with our clients professionally in managing the clean of the premises. We take care of everything. 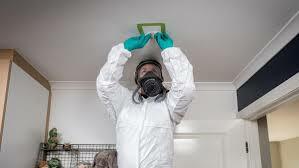 With over 16 years experience in the Trauma and Hoarding Cleaning business, LINKED CLEANING SERVICES has provided the West Australian people with a professional and discreet service in all situations. We take care of everything. Operate constantly in accordance with the best and fully accepted ethical business practices. Comply with all applicable laws and federal, state and local government regulations. Provide all services and products at fair, equitable and non-discriminatory charges. Contribute to the overall growth of the industry by being actively involved in activities that will enhance the over all perception of the Bio-Recovery and cleaning industry. It is a requirement of most professions that its members work to a code of ethics. In the case of Linked Cleaning Services, this is fundamental because our work can be with some of the most vulnerable and marginalised groups of people in our society. A code of ethics is an explicit document that lays down the expectations of a professional working in the field. Our Linked Cleaning Services code of ethics sets the tenure for exemplary work practice and is the benchmark for all our staff. The code was developed by the founders of Linked Cleaning Services and is as relevant today as a guide for every day ethical practice as it was in its inception. Hi Ash We were really impressed by your whole service, thank you so much for making a potentially ugly situation easy. Cheers mate have told anyone who would listen how good you guys were. Ashley and his staff were respectful, professional and very prompt on both occasions that I have called for their assistance, I would not hesitate to contact Ashley again, and I highly recommend their service to anyone finding themselves in this unique and very personally challenging circumstance. © 2015 Linked Cleaning Services. All rights reserved.